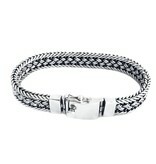 Cool silver braided bracelet Rob, this piece of art is suitable for men and women. 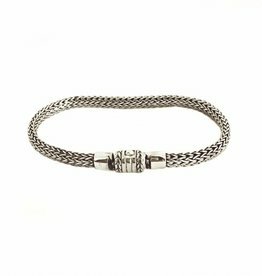 The bracelet is handcrafted according to original Balinese designs and techniques by our traditional silversmith. 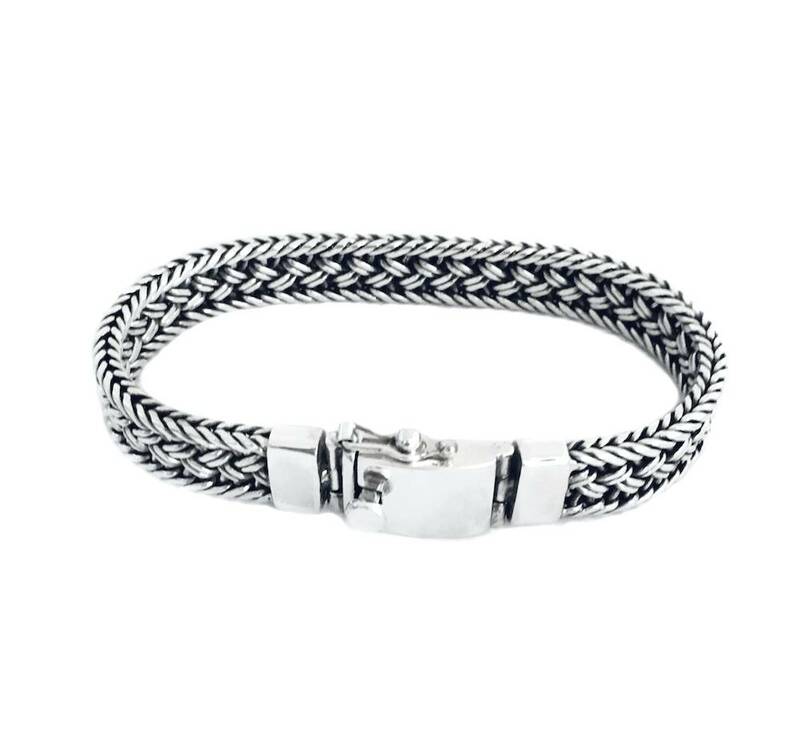 The massive sterling silver (925) bracelet is especially handmade for NJ Amsterdam. The lengths of the silver braided bracelets are 19, 20 and 21 cm. The width is approx. 15 mm and the width approx 3 mm. The weight of the bracelets depends on the length and varies between 48 and 52 grams. You will receive the massive silver bracelet in a giftbox. 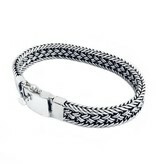 Sterling silver bracelet with click clasp, several sizes available.